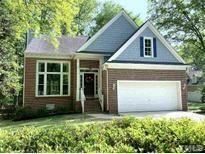 Find Cary, NC Homes for sale. View Photos, Maps and MLS Data Now! 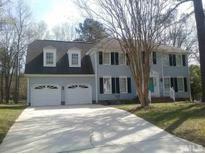 Preston - Expansive deck, fresh paint, newer roof, several new fixtures & new carpet in beds & bonus. 13-month warranty! MLS#2249433. 4349. Wellsley - Gorgeous grounds on corner lot! Don't miss this opportunity! MLS#2244735. 5026. Kilarney Pointe - Large master with newly renovated bathroom with walk in shower and huge walk in closet. W/D & fridge. Move in ready. MLS#2250529. 872. Heritage Pines - You won't want to miss this one! MLS#2250382. 1320. Macarthur Park - Preferred lender offering up to $1,000 in closing costs. Showings to begin 4/25! MLS#2250391. 81. Wellington - Updated siding.Cul-de-sac lot. Pond community.Close to all. MLS#2250526. 3002. Devereaux - Upgraded features include a new HVAC, new vinyl kitchen flooring, fresh interior paint throughout, and new carpet in select rooms. MLS#2250461. 4823. Woods Of Fairfax - Upgraded features include a new roof, new vinyl kitchen flooring, fresh interior paint throughout, and new carpet in select rooms. MLS#2250448. 4823. 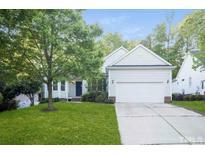 Enjoy great schools, greenway trail, community pool, clubhouse, playground and Cary parks. MLS#2250150. 986. Macgregor West - Walk to Lake Pine. Join MacGregor CC. MLS#2246938. 989. The Reserve - Secondary bedrooms are generously sized and MLS#2250057. 5147. Amberly - Amazing lifestyle Community w/ superb amenities + active programs for all ages! MLS#2250107. 64. Kildaire Farms - Note expansiveness of deck and fenced rear yard with lots of openness and easy-care landscape. 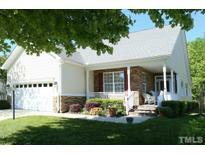 MLS#2249973. 986. This is a beautiful community in a GREAT location with great amenities including walking trails, bike lanes, tennis, clubhouse and pools! MLS#2249835. 2989. Stop in & take a look today! MLS#2250030. 5147. High Meadows - Backs wooded area. Walk to Shops of Kildaire! MLS#2250041. 1359. Master features large Jacuzzi Tub and Custom Tile Walk Around Shower. MLS#2249940. 2582.